The first comprehensive, modern introduction to the theory of central simple algebras over arbitrary fields, this book starts from the basics and reaches such advanced results as the Merkurjev-Suslin theorem, a culmination of work initiated by Brauer, Noether, Hasse and Albert, and the starting point of current research in motivic cohomology theory by Voevodsky, Suslin, Rost and others. 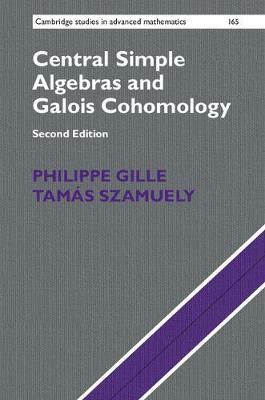 Assuming only a solid background in algebra, the text covers the basic theory of central simple algebras, methods of Galois descent and Galois cohomology, Severi-Brauer varieties, and techniques in Milnor K-theory and K-cohomology, leading to a full proof of the Merkurjev-Suslin theorem and its application to the characterization of reduced norms. The final chapter rounds off the theory by presenting the results in positive characteristic, including the theorems of Bloch-Gabber-Kato and Izhboldin. This second edition has been carefully revised and updated, and contains important additional topics.